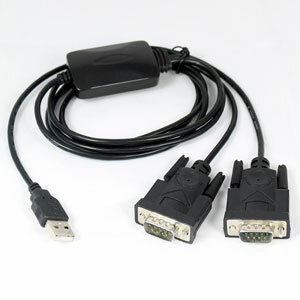 Here is a USB to dual RS232 serial port adapter cable which is similar to our Y-106 adapter with the difference that it has the better FTDI FT232RL chipset which is more reliable and has better performance. The FT232RL chipset is a good all-round stable chip with good performance which works with most versions of Windows, Mac and Linux. It also works with most RS232 serial devices such as printers, scanners, alarm systems, process machinery and most other types of equipment with a standard RS232 port. This USB serial adapter creates two virtual COM ports which can be used individually at the same time. 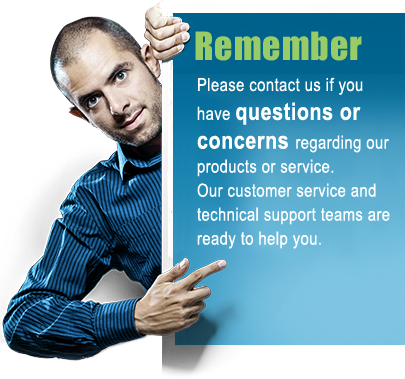 The two virtual COM ports are available in your operating system's Device Manager where COM port numbers can be changed and several other port settings can be adjusted. Baud rate can also be adjusted however the adapter automatically detects and adjusts to the baud rate, so in most cases no port adjustments are required to use the adapter. Protection against static electricity and surges up to 15KV gives you reliable data transfers and protects the serial adapter and your equipment from damage due to over voltages.